Per Mail by filling our booking form. For reservations a deposit of 30% of the total price of your stay are requested. The payment of the deposit can be done either by credit card VISA or by bank transfer. In all cases the reservation is considered firm after the date of receipt of the deposit. 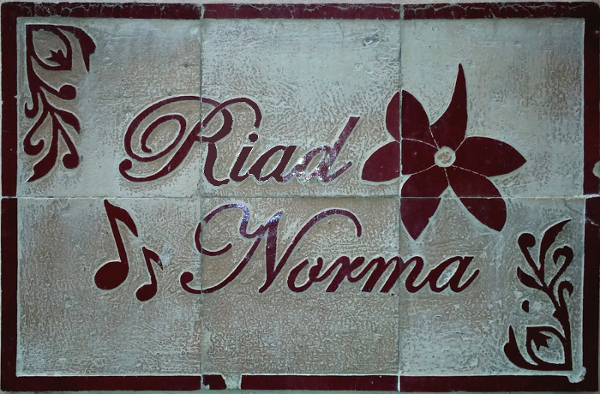 For privatization of Riad Norma and its 6 suites, a deposit of 50% of the total amount will be requested. Cancellations at least 30 days before arrival, 50% of the deposit is refunded. Between 30 and 15 days before arrival, 50% of the deposit for the price of one night is refunded. No refunds for cancellations less than 15 days. the suites are available from 15h, late arrival beyond 21h must be reported. suites are released in the morning before 12am. Any departure before 8am must be reported.